St. Michael School Preschool is a state-licensed preschool for children 3- and 4-years-old. 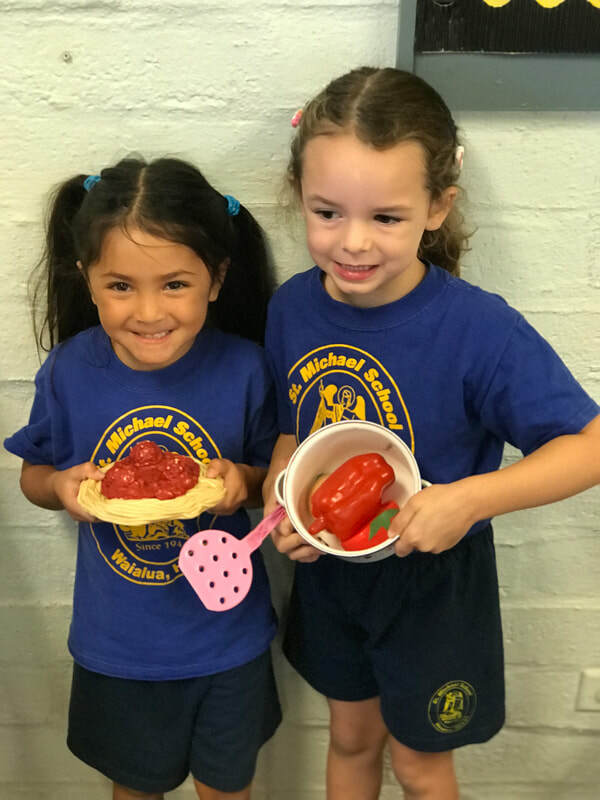 Our preschool provides students with the necessary skills to excel in Kindergarten and beyond through an engaging, faith-centered educational environment. To provide a nurturing, safe, and a prepared environment where the child may grown the true Christian spirit. To patiently encourage self-help skills and provide hands-on materials for each child to choose from. This provides for the changing needs of each child. To provide individualized educational opportunities as observations and interactions how readiness and enjoyment. To demonstrate respect for each child as an individual person with unique talents and gifts. To encourage each child’s interests and talents in a way that is fun and creative. To provide for each child’s spiritual, social, physical, psychological, and cognitive skills through planning, observation, child-centered activities, and staff implementation. The St. Michael Preschool believes that educating a child is not limited to just learning to read, write, and count. Rather, we focus on the total development of the student in a nurturing environment were students gain a deeper faith and love for God and for one another. Students thrive in a Preschool environment where they feel safe and valued. Morning drop-off between 7:20 AM - 7:50 AM. After this time, please enter through main front gate by church. ​Any child still in school after the pick-up time will be sent to AfterCare and subject to its "per day" fee. 3-Year-Old Classes: Children who were born in 2015. ​4-Year-Old Classes: Children who were born in 2014. 3-Year-Old Classes: Children who were born in 2016. ​4-Year-Old Classes: Children who were born in 2015.